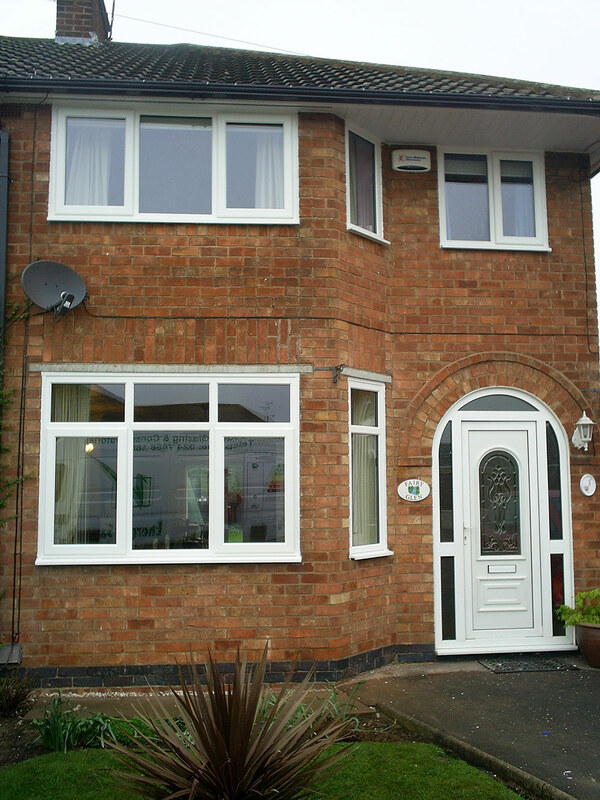 Our A Rated upvc windows transformed the front of this house, as well as improving the ambient temperature inside! Fitted with “Easy Clean” hinges upstairs to make window cleaning a breeze, and Trojan Shootbolt locking for added security, our windows come internally beaded as standard. A made to measure arch framed door finishes off this property perfectly.